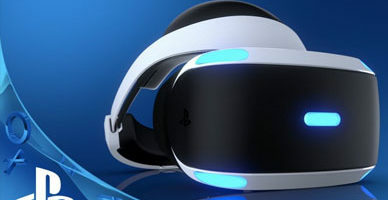 The PlayStation 4 is slowly nearing the end of its lifespan as the PlayStation 5 looms on the horizon, but it is still an immensely popular platform even in 2019, with several high-quality exclusives to be released soon, including titles such as Death Stranding, Ghost of Tsushima, and The Last of Us Part II. But the hardware is definitely showing signs of aging, and a problem that many encounter is limited storage space. In this day and age when AAA games can easily take up more than 40 GB of space, 500 GB and even 1 TB hard drives can easily fill up, especially if you also store lots of multimedia files as well, be it your own gameplay videos or movies, music, and shows. Luckily, expanding the storage capacity of your console requires little more than a free USB port! Here are several of the best external hard drives for the PS4 that can double or even quadruple your storage space at a relatively small cost. 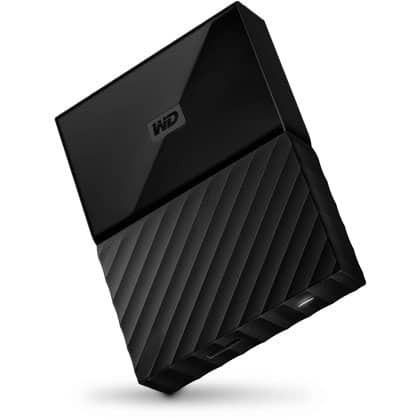 The first on the list is one of our general favorites, and it is a very popular external HDD that comes from none other than WD. So, why is the WD My Passport so good? Well, in essence, it is everything that you’d expect out of an eHDD – reliable, compact, easy to carry around, and it even comes in a number of color options, which is quite a refreshment from the usual neutral black, gray, and white that we mostly see in external HDDs. The WD My Passport has two key strengths: portability and style. As you can see from the table above, it is fairly light and compact, so it’s easy to transport. Moreover, all the different color options ensure that it can suit virtually anyone’s tastes, though when it comes to the PS4, the black or blue would probably be the most appealing. There is only one notable downside to this HDD, and it’s that the performance it offers isn’t exactly stellar compared to some other models, especially when it comes to larger files. However, if you intend on using it mainly with your console and don’t plan on adding and removing data frequently, you probably won’t even notice. 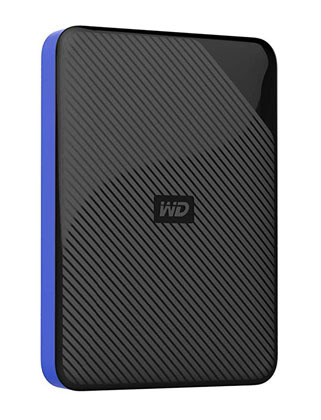 Next, we have another external HDD from WD, but this time it’s the WD Gaming Drive designed specifically for the PlayStation 4 product. Fundamentally, it’s not much different from the My Passport, but when we say “designed”, we mean mainly the exterior design and the color scheme. As already mentioned in the introduction, the WD Gaming Drive goes for the signature color scheme of the PS4 i.e. black and blue. The front is made of glossy black plastic, so it doesn’t quite go with the PS4 Slim and the PS4 Pro, but combined with the deep and solid blue, the drive definitely looks great. It is also a bit lighter than the My Passport but it’s hardly a noticeable difference. And though it may look good in tandem with a PS4, especially if you’re into the black-and-blue aesthetic, it really doesn’t offer much compared to the My Passport in terms of performance. As such, if you don’t prefer one over the other on the grounds of appearance alone, we’d say just go for whichever one of the two is more affordable at the moment. 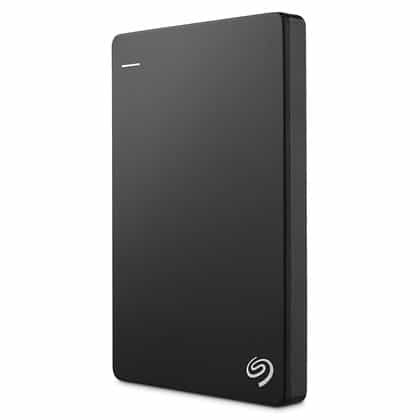 The next product we have lined up is also a very popular one, and it is the Backup Plus, manufactured by Seagate. And while Seagate doesn’t exactly have a spotless record when it comes to the quality and longevity of their HDDs, the Backup Plus is actually quite fast and reliable for an external HDD. 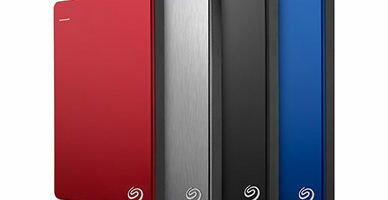 The Backup Plus comes in several color options that blend nicely with the black body of the drive, including a vibrant red, a sleek brushed silver, and a deep blue which obviously fits the black-and-blue commonly associated with PS4 accessories. Performance-wise, the read-write speeds are better than your average external HDD, which makes this one a great choice if you intend on moving large amounts of data to and from it on a regular basis. In any case, we have nothing bad to say about the HDD itself, if we had to nitpick, we definitely would have liked to see a 3-year manufacturer warranty on this eHDD instead of a 2-year one. After all, it is a performance-oriented solution. 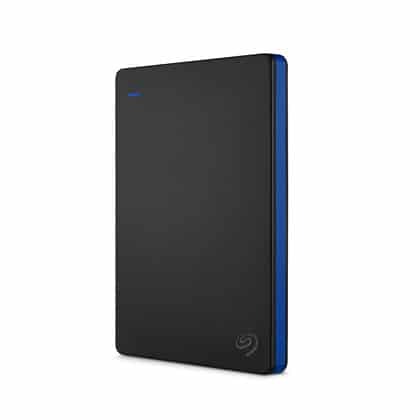 Moving on, we have the Seagate Game Drive, which follows the same design philosophy as the WD Gaming Drive – it is a black and blue external HDD marketed mainly as a PS4 external HDD. Apart from that, it is quite similar to the Backup Plus. The Seagate Game Drive shares a number of similarities with the WD Gaming Drive. Obviously, as already mentioned, they both adopt the black-and-blue color scheme, they both come in 2 TB and 4 TB variants, and they’re a bit lighter than their mainstream counterparts. In regards to the performance, the Seagate Game Drive, unsurprisingly, doesn’t offer anything groundbreaking. And as with WD’s Gaming Drive, the main reason as to why you’d want to pick it over a mainstream external HDD is the aesthetics. However, like the Backup Plus, the Seagate Game Drive comes with a 2-year limited warranty, as opposed to the 3-year warranty offered by WD on their external HDDs. Should You Get an External Hard Drive For Your PS4? Do you want to install games on it? If you’re running out of space to install games, an external HDD may not be the best choice. Why? Well, even though they present great value when it comes to the price per gigabyte and portability, external hard drives are hardly the best solution performance-wise. This is in no small part due to the USB 3.0 interface which really can’t compete with the SATA III interface that internal HDDs use. As such, if you want to ensure that you get the best value for your money, we’d suggest a 2.5-inch internal HDD instead. Fortunately, Sony has made it easy to replace the hard drive without voiding the warranty and you can see the official guide to replacing the HDD of your PS4 here. Now, in the case that you only want to store multimedia files on it and transfer files between your PC/laptop and the console, then an external hard drive is obviously the best bet, not to mention that it is a flexible storage solution that you can take anywhere and use it with all sorts of devices. As you can see, the HDDs listed here don’t really have any significant differences. The performance is fairly similar with most models, they are all quite lightweight and portable, they all use USB 3.0, the prices are more or less the same, and the design actually ends up constituting the biggest difference. That said, when choosing an external hard drive for your PS4, just pick whichever one suits your tastes best. 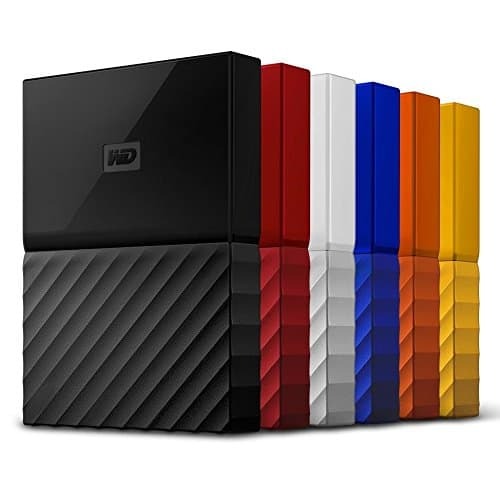 For us, that would have to be the WD My Passport, since it comes in a number of different colors, though the Seagate Backup Plus is obviously the best choice if you intend on moving large amounts of data frequently. 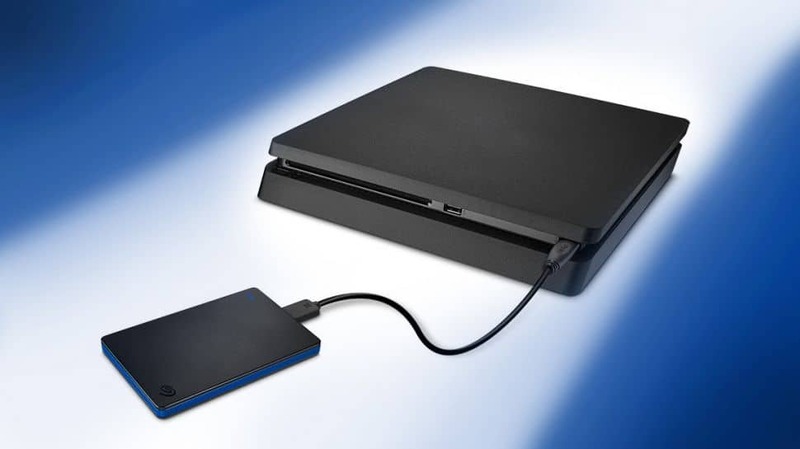 Meanwhile, the models marketed as PS4 external HDDs would be good choices, too, but as we’ve already said, the only distinguishing feature with those is the color scheme, as they don’t offer any particular benefits when used with a PS4 and they can be used with any other device that supports external HDDs, just like any other external HDD.